The British Summer is blessing us with good weather (for now), so make the most of it by picking the right place to soak up some rays. 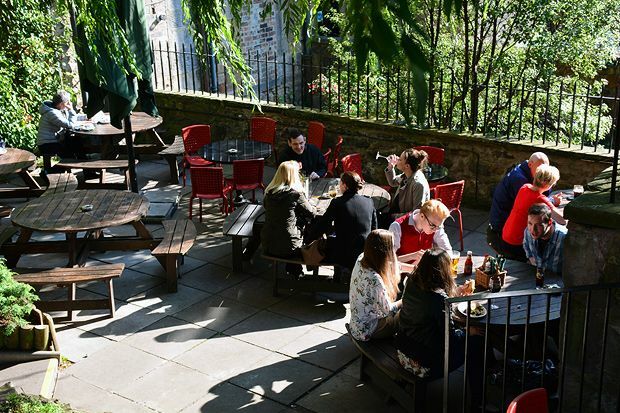 From suntrap courtyards and tables by the beach to traditional beer gardens and pavement dining, Edinburgh has plenty of options for that rare bit of sunshine. Who says you have to go to overseas to have supper outside? Edinburgh's Swedish chain takes on its biggest venture yet, and gets everything right with good food, drink and family friendliness, plus outdoor seating next to the canal. Traditional Victorian pub with an excellent leafy beer garden, in the city's elegant New Town. Casual, friendly, family-oriented beachside bar/restaurant with a tiki theme, and views of Portobello beach. Diminutive French bistro consistently serving excellent classic dishes, with prime outdoor seating for sunny days. Relaxed, airy space with bistro staples, great beer and gin produced on site, and tables in the courtyard. Relaxing waterfront pub doing almost 100 per cent Scotland-sourced food and drink, with an excellent whisky selection. 23rd Edition published April 2016. Widely recognised as the most reliable, comprehensive and authoritative guide to eating out in more than 950+ restaurants, bistros, cafes and bars in Glasgow and Edinburgh. Got the late night munchies? Don't worry, we've got it covered.